Keeping a clean home has been shown to be drastically correlated to staying healthy, maintaining lower stress levels, and of course an overall happier household. However, even though we clearly know the benefits it’s not always the easiest thing to achieve while living a busy lifestyle. 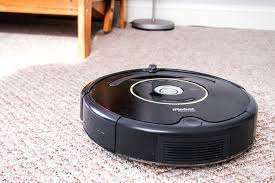 Luckily, advancements in technology and the rise of automation have brought us things like robot vacuums. With all of the excitement and potential it’s natural to want to rush out and buy these home-helpers, but it’s important to do your research first. Reviews.com is a great place to start your search. They offer tons of help on what to look for, tips for use, and recommendations.